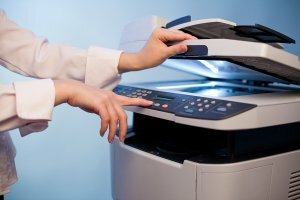 At Ameritech Office Systems, we offer expert, same-day office printing equipment and printer repair services near Annapolis . If your office has become less efficient and productive due to frequent problems with office equipment like printers, scanners, copiers, and fax machines, our talented repair technicians can help. 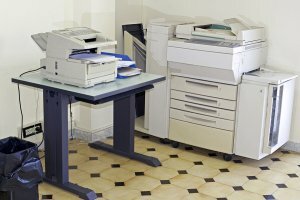 With our same-day turnaround for office equipment and printer repair services, your office can get up and running quickly and easily. Instead of wasting valuable time troubleshooting, you can simply call one of our professionally trained technicians for repairs. Our technicians have over 30 years of experience in maintenance and repair, and are qualified to work on a wide variety of top office equipment brands. 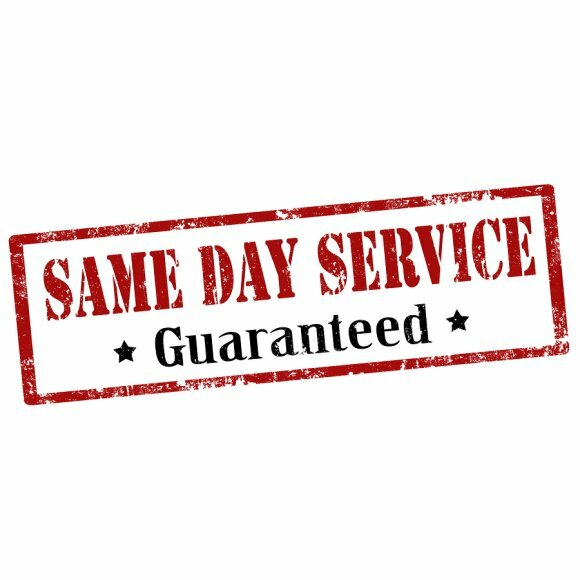 You can also take advantage of our service and maintenance contracts, which allow you to schedule regular office printing equipment and service visits. This will reduce your office’s downtime due to service issues, and will ensure that your office equipment is always well maintained and in good working order. Copystar is a division of the Kyocera Corporation, and the brand manufactures digital, laser, black and white, and color copiers and office printers near Atlanta . Copystar’s products also include document imaging and document management systems, such as combination or multifunction office printers, office scanners, and fax machines. Here is a closer look at the Copystar brand and what the brand stands for. Each Copystar product is designed and manufactured to the highest standards of quality, yet is still incredibly affordable. The technology and printing services offered by Copystar office equipment are constantly evolving due to advances and fluctuating customer needs. The Copystar company wants to ensure that companies have access to the best office printers and office equipment available, even on a restricted budget. A business that utilizes Copystar office equipment will benefit immensely from the efficient and smart office solutions that are implemented into the best office printers. The Copystar brand is part of a global corporation that strives to contribute to the world’s prosperity, communities across the world, and the environment. The corporation takes social responsibility very seriously, and has implemented a number of key programs throughout its brands and corporate offices that are committed to establishing good relationships within their communities, and creating a harmonious coexistence with the earth. Copystar is committed to environmentally friendly business practices, and Copystar products are both eco-friendly and energy efficient. The company adheres to the standards of the worldwide Environmental Action Plan, and strives to achieve a balance between economic and environmental preservation. Copystar products improve sustainability, energy efficiency, and ozone layer protection, and reduce waste, without compromising their products’ efficiency and productivity. Copystar office equipment is registered in Electronic Product Environmental Assessment Tool, which is a system that measures how environmentally friendly a product is. The company also oversees an office printer toner recycling program. Your business can only move as fast as your office equipment in Annapolis . That’s why it’s important to choose the right printer! Your office printer should be able to produce clean, crisp documents with ease and speed, as anything else could affect your workflow and efficiency. Watch this video to learn how to choose the best printer for your business needs. There are two basic types of printers to choose from: inkjet and laser. Inkjet printers essentially place ink from a cartridge onto the page when printing. The process is usually a bit slower than laser printers, and may not be the best choice if you print often or you frequently print large projects. You can look for additional features to go along with printing. Scanning and faxing services can be incorporated into different printer models, as well as Wi-Fi and networking capabilities. Keep in mind the additional costs associated with having an office printer such as cartridges and paper, and choose an office equipment company that offers reputable repairs and services. When you are looking for new office equipment in Annapolis , there are many options available to you. 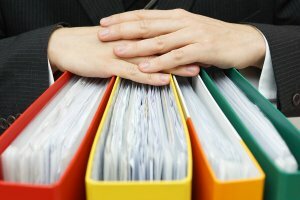 In addition to having the right computers and software to take care of your business’ needs, your office will need a printer capable of handling the workload you give it. A printer that malfunctions right before an important meeting or in the midst of a big project can affect your workflow as well as your bottom line. Keep reading to learn what you should look for in a new printer for your office. In the world of office printers , you must choose between inkjet and laser. Inkjet printers are quite common, and can print everything from articles to pie charts to glossy photos. However, inkjet printers usually take longer to print, and could end up costing you more money in the long run. Laser printers are the choice of more offices because the printed results are crisper, quicker, and more reliable. If your office uses a printer frequently or you tend to print many pages at once, a laser printer might be the right choice for you. On the other hand, if your printer isn’t used all that often, you might be able to settle for an inkjet. As you are looking for the best office printer for your business, consider if you could use additional functionality besides simple printing jobs. Some printers offer functions such as scanning, copying, and even faxing. Depending on the needs of your business, a printer with all-in-one functionality could serve you well. Two-sided copiers are helpful for many businesses, as you can save on paper costs by printing on both sides. A printer with networking capabilities and Wi-Fi access allows you to print from any computer on the network, regardless of whether it is physically connected to the printer. 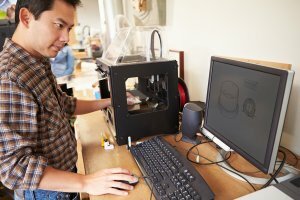 For businesses with employees who work remotely, it can be helpful to have a printer with cloud-based connectivity. This way, someone outside of the office can send documents to the printer so the copies are ready immediately. In today’s fast paced business world, you need every advantage you can get to stay on top of the competition, from printing services and fax services to more modern technology. Cloud based document management in Annapolis can provide a number of benefits for your business, helping you keep your competitive edge. You can upload documents from your office or remotely, and access other documents from anywhere with network access. Instead of worrying about losing important paperwork, everything is stored in the cloud securely. This convenience means you can keep yourself more organized, no matter where you are. In addition to streamlining your paperwork flow, document management can also help your bottom line as it reduces the amount you must spend on paper, ink, printing services, and copier maintenance. You also don’t have to worry about software changing constantly, and the cloud requires only one initial investment. If confidentiality and security are important for your business, cloud based storage is a secure solution that eliminates the potential of lost paperwork. 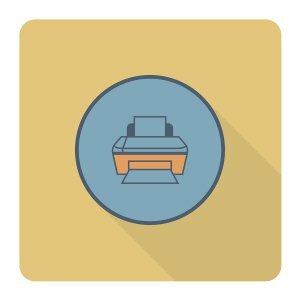 What Is the Best Office Printer for Your Business? 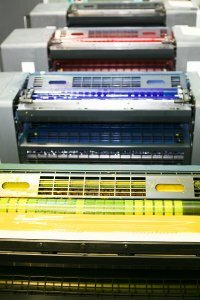 Printing services are an essential part of many business environments. If you are the owner of a thriving business, it is important to make sure that your employees have access to all of the office printers they need to create documents and other materials. By providing your workers with the best office printer serving Annapolis , you can ensure that your daily workflow functions smoothly and efficiently. A company offering printer copiers in your area can help you select the right printing solution for your office. Read on for some helpful tips for choosing the best office printer for your business. When you are choosing a new printer for your office , it is important to make sure that your equipment is able to handle a variety of tasks. By choosing a new printer that offers great functionality, you can perform printing, faxing, copying, and scanning, all with one device. With a versatile printer, many of your business’ communication and document creation needs will be met. If your office has many different employees, you will need to make sure that your printer has the right capabilities to handle many different tasks at once. As you are working with a printing company to choose a new printer, you may want to ask about purchasing a printer that has a faster processer and more memory. With these features, you can ensure that your workday is not halted by a printing error. Today’s printers are capable of much more than simple printing services. When you are shopping for a new printer, you may want to ask about the networking capabilities that your equipment will have to offer you. When you purchase a new printer that can link up to your network server, you will be able to make sure that all of your employees are connected to the printing services that they need. Networking is a great way to improve the efficiency of your office. A malfunctioning office printer can quickly put a halt to your daily routine. If you are looking for a great way to ensure that your daily printing goes smoothly, you may want to set up printing services near Annapolis. At Ameritech Office Systems , we proudly provide our customers with service and repair for many different types of printers. When you purchase a new color printer from our company, we can help you keep your office equipment running great with routine service and repair. We offer service and maintenance contracts, which will provide you with routine tune-ups for all of your printers and copiers. In addition, with our same-day repair services, you can rest assured that you will not be left waiting for help to arrive. By working with our highly rated printing company, you will be able to provide all of your workers with efficient and well maintained printing equipment that is ready for the demands of your daily tasks. A color printer can be used for many different tasks throughout your office. Whether you are printing promotional materials, or creating images for an upcoming presentation, it is important to make sure that you have a color printer that is able to handle your work load. By evaluating the many different types of printers , you can feel great knowing that you have provided your office with the best office printer serving Annapolis. To help you get started with your purchase, here is a business owner’s guide to shopping for a color printer. 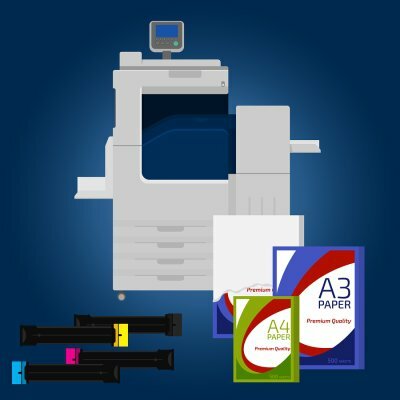 The first factor that you will need to consider when you are shopping for a color printer is whether ink or laser printing technology will be the best fit for your needs. Until recent years, color printers relied on ink to create color images. With modern laser technology, you can ensure that all of your images are crisp and clear. If you will be printing photos or other high resolution images, a laser printer may be the best fit for your needs. Along with deciding between ink and laser technology, you will need to decide what level of graphics quality will be the best fit for your everyday tasks. A printer with high graphics quality will be able to produce quality images for brochures, pamphlets, and other materials. If you will not be needing true photo quality for your prints, you may not require the highest graphics quality available. A final factor to consider when you are shopping for a color printer is the paper capacity that is offered by your equipment. With a standard printer, your equipment will be able to process up to 700 sheets. If you will be printing bulk jobs, you may want to select a color printer that offers a high paper capacity of 3,000 sheets or more. By choosing a printer that offer a high maximum paper capacity, you can avoid the need for routine printer repair. Running a business is no easy task. In addition to having a great team of employees, you must also provide a product or service that consumers want. Successfully marketing your business takes a well-planned strategy that targets potential customers through a variety of different methods. A color copier in Annapolis is just one of the tools you need at your disposal in order to attract new customers and keep current customers coming back to you. Color is one of the most important elements of effective marketing and branding when you want to start a business or grow your current venture. One of the main goals of marketing and advertising is to elicit specific feelings, thoughts, and emotions. For example, the color blue is often associated with calmness and purity, and so it is often used by companies who want those feelings to be associated with their product. The color green calls grass, trees, and other natural elements to mind, so it might be used by businesses that are trying to emphasize their commitment to being eco-friendly. If you are deciding which colors to use in your printed materials, consider what feelings you want to convey and go from there. Black and white printing has its place in the marketing world, but it is color that grabs consumer attention more often than not. When you are printing copies to use as marketing materials such as brochures and fliers, color can make your business stand out from others who chose not to go the extra mile. Certain colors are more eye-catching than others, such as bright red or sunny yellow. Branding your business takes work, but can pay off when your logo, colors, and company name become instantly recognizable. Using the same colors consistently will help consumers remember your business, which can translate into increased traffic and profits for you. Choose printing services that can incorporate vivid, rich colors into your marketing materials to fully harness the potential of your advertising. When you are shopping for the best office printer, you will have many different types of printers to choose from. To ensure that you purchase the best color printer, it is important to keep several factors in mind. For example, you will need to determine whether you are seeking a printer that simply makes copies, or a printer scanner that can handle a variety of tasks. In addition, you will also need to decide whether your office will benefit more from ink jet printing or laser printing. A company offering printing services near Annapolis can help you make the best choice for the needs of your office. To learn more tips on how to choose the right printer, check out this video from Ink Technologies.